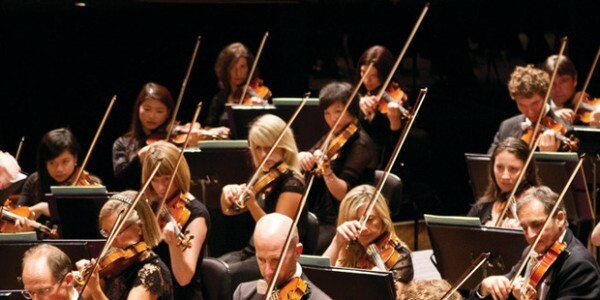 Last Thursday’s Spirit of Anzac concert came with Trans-Tasman connections, being played by Sydney Symphony Orchestra a day before the New Zealand Symphony Orchestra delivered it to us. Last Thursday’s Spirit of Anzac concert came with transtasman connections, being played by Sydney Symphony Orchestra a day before the New Zealand Symphony Orchestra delivered it to us. Two new commissions showed appropriate courage and faith with Michael Williams responding well to the particular demands of public commemoration in his Symphony No 1 Letters from the Front. Both Williams and Australian James Ledger blended music with text, spoken and sung. Letters from Williams’ great-grandfather and others were movingly read by George Henare, sometimes in ironic contrast with the music behind. While the concept was a good one, there were problems in its fulfilment. Henare’s texts were sometimes clouded by the clash of microphone and acoustic. In one climactic passage, both he and soprano Madeleine Pierard, singing a sensitive setting of Wilfred Owen’s Arms and the Boy, struggled to be heard. Here was the perfect justification for surtitles; words were printed in the programme but it is difficult to take one’s eyes off this charismatic singer, who, against a silent orchestra, carried the symphony to its poetic close. Conductor Benjamin Northey showed consummate skill and sympathy. In a fairly fragmented score, he took care to frame telling interludes as if they were cinematic flashbacks to a golden tonal past. Less belligerent, shorter and more affecting was the following movement in which the New Zealand Youth Choir added a skilfully layered setting of Paul Kelly’s words, powerfully linking past and present, war and peace. Tonight was not all Antipodean contemporary. We were welcomed with Copland’s Fanfare for the Common Man and farewelled with a gloriously rich Tallis Fantasia by Vaughan Williams. Its hymn tune positively glowed with fervour as it passed around the many orchestral configurations, including poignant solo contributions led by Julia Joyce and Yuka Eguchi. Best of all, tonight, on Anzac Day itself, at 8, Radio New Zealand Concert is allowing the whole country to hear Spirit of Anzac from its Wellington performance.